Professor Cliff Hughes is President of the International Society for Quality in Health Care. Until March 2015 he was the Chief Executive Officer of the Clinical Excellence Commission, a statutory health corporation established in 2004 to build capacity and design programs to promote and support improvement in quality and safety for health services across NSW. 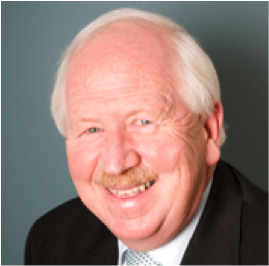 He has been chairman or member of numerous Australian state and federal committees associated with quality, safety and research in clinical practice for health care services. He has held various positions in the Royal Australasian College of Surgeons, including Senior Examiner in Cardiothoracic Surgery and member of the College Council. In November 2015 the College bestowed upon him the highest award given to a Fellow in his lifetime, the Sir Hugh Devine Medal. He has received awards for his national and international work including an Alumni Award from the University of NSW. He has led five medical teams to China and has performed cardiac surgery in Hong Kong, Singapore, Malaysia, India and Bangladesh. In 1998, he was made an Officer in the Order of Australia (AO) in recognition of his contributions and “service to cardiac surgery, international relationships and the community”. In June 2014, the University of NSW conferred upon him the degree of Doctor of Science, its peak academic award.